EME embodies the integrity of intelligent, efficient design. We create beautiful, sustainable buildings inspired by a process of dialogue and exchange. We strongly believe that Passive House is the way of the future and that many more Passive House standard buildings need to be built in Australia. While they perform outstandingly well year-round, Passive House standard buildings are about improving the indoor comfort and health for the occupants. When we look at a space, we see the potential for a balanced relationship between innovation and function. For 15 years we have been working closely with our clients to create award-winning projects that above all provide enjoyment, beauty and efficiency. EME genuinely believe design is a process of dialogue and exchange. We are inspired by the unearthing of new ideas and solutions and relish the opportunity to evolve a design with our clients. We broaden the conversation to include landscape architects, specialist consultants, local communities and councils. A building can respond to both its environment and its users to create an enjoyable and sustainable space. Sustainability is not a new term, but neither is common sense. We have been monitoring our projects since 2006 to redefine and push best practice sustainability. The low energy output of all our buildings is driven by an intelligent use of space and construction. In addition to this, an awareness of the embodied energy of building materials is paramount to operational efficiency. EME choose local materials that are ecological and energy efficient, yet robust and long lasting. After all, a good building should last for at least 100 years. EME’s successful medium-density projects point to the growing demand for sustainable buildings and the potential for strong returns on these investment projects. A common sense approach to design and construction encourages engagement between users and their environment. Create sustainable, efficient spaces. Award winning sustainable design. We have been recognised for sustainable design practice and thoroughly enjoy our role as educators within the community, both here in Australia and overseas. Below are some award-winning EME projects and associated press coverage. The integrity of intelligent, efficient design is reflected throughout the EME team. Our dynamic group of talented individuals brings diverse experience to every project, passionate to find solutions to your design questions. The EME team draws upon both architectural skills and extensive knowledge from related fields such as construction and furniture design to realise the potential of your residential, community or development project. 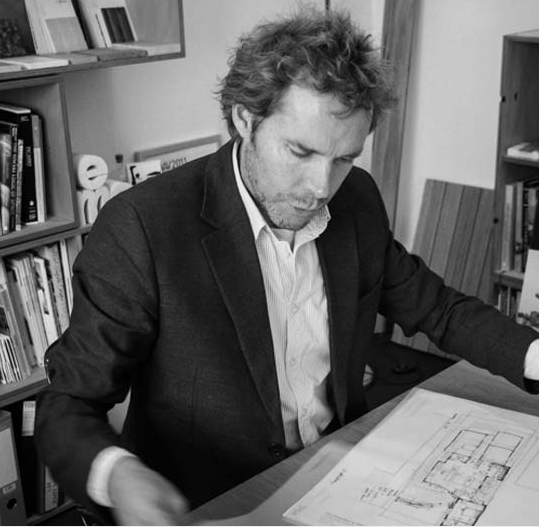 Luke Middleton creates beautiful, sustainable architecture. His award winning community, educational and residential designs embody the EME ethos of intelligence, inspiration and innovation. Luke has over 18 years of design experience and is driven by a process of collaboration both within the EME team and his client relationships. Since 1996 Luke’s commitment to sustainability and efficiency has been reflected in numerous awards, and invitations to industry and academic conferences on developing inherently sustainable architecture. Starting a project? Let’s talk!